FirstNano® is CVD Equipment Corporation’s research and development (R&D) brand of products. Various academic research centers, industry leaders, and government research labs worldwide have purchased the system and are employing it currently in their research. CVD Equipment Corporation specializes in the manufacture of innovative, high quality process equipment suitable for the synthesis of a variety of thin films, carbon nanotubes, nanowires, LEDs, MEMS, nanostructures, nanomaterials, and other applications. 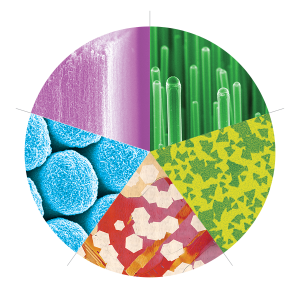 The FirstNano® line of systems are applicable to nanoscale research that intersects cross-functional disciplines in semiconductor, applied physics, biotechnology, chemical, and mechanical engineering fields. FirstNano® branded process system models include; EasyTube®, EasyCrystal™, and EasyGraphene™. In addition to our R&D process systems, we offer a complete line of gas storage, gas delivery, and gas abatement systems under the FirstNano® brand. These system models include; EasyGas™, EasyExhaust™, and EasyPanel™. FirstNano manufactures configurable CVD systems for advanced reseach & development. Our equipment is used in universities and laboratories worldwide. EasyTube CVD system can be configured for a wide range of substrate size and process requirements. FirstNano offers collaboration services for your research grants, funding proposals or startup funding. We provide industry resources with the aim to support commercialization and job creation. Contact us for a letter of collaboration. FirstNano EasyTube systems are being used in breakthrough research and are featured in manyacademic publications. 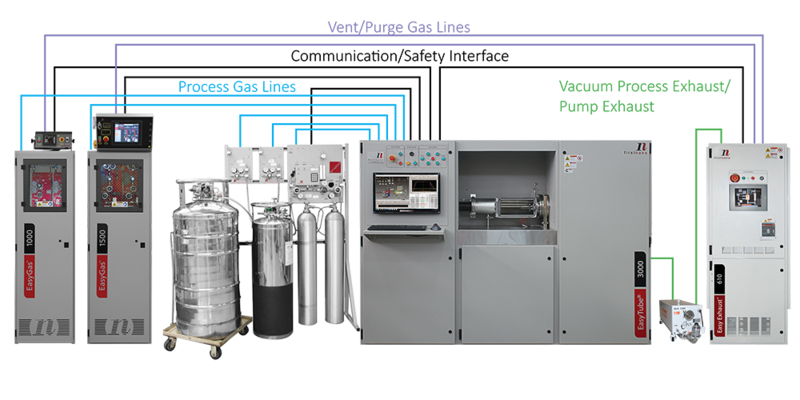 FirstNano®’s ultra-high purity gas lines and delivery systems are manufactured by Stainless Design Concepts (SDC), a division of CVD Equipment Corporation. We take advantage of the SDC 4,000 ft2 clean room fabrication facility, with multiple high purity orbital welding stations. Our manufacturing is vertically integrated; we procure raw materials and deliver finished systems. Contact us to schedule a visit to our facility on Long Island, New York, where you can witness our quartz fabrication, extensive machine shop, and build/test facilities. FirstNano® systems can be configured with a range of modules to meet the often unique requirements of the R&D environment. More information can be found by clicking on the system images below.